I was moving from Heart Internet due to poor service, constant downtime and attacks...the last straw was downtime which lasted for around 4 days. They were more than helpful assisting with either a full or partial transfer....responses are always quick and there's always live chat support for quick enquiries. The only possible downside is that one of my busier clients is hitting their resource limits on the reseller package but the rest are all fine. 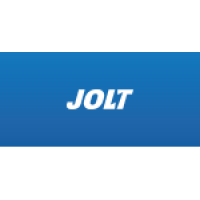 I was used to Heart's interface but got used to the Jolt one quite quickly....a few questions here and there but they have been happy to help....also cheaper prices for both the reseller packages and also add-ons like SSL certs. Only had 1 downtime issue which admittedly was a day or so but they got everything transferred onto a new server and all was good.